Zoe is the only woman on this ten-day hike, so she is already the “Final Girl.” By the way, doesn’t “ten-day hike” have a similar ring to “three-hour cruise?” Needless to say, they will quickly veer off course, but getting lost is the least of their worries in Eric Blue’s Beacon Point (trailer here), which premiered at the 2016 Dances with Films. Drake Jacobs is usually a pretty good trail-master, but Zoe and her fellow hikers are catching him on a bad day. He just accidentally killed his boss when confronted with his manslaughter conviction. Unfortunately, this will not be the Drake’s lowest nadir in the film. Flushed with panic, Jacobs hustles his ten-day tour hikers on their way, promptly leading them off the trail (that would be the Appalachian Trail). For a while they buy his excuses about avoiding “tourist attractions,” but it soon becomes clear they are lost. They also realize they are not alone out there. Something is watching them. In fact, Zoe’s strange dreams suggest the malevolent unknowns might already be messing with them in an X-Files-Communion sort of way. Frankly, there is an excellent chance those are not dreams. Yet, despite the gravity of the situation, Jacobs keeps acting like a jerkweed. Okay, so we have been down this road before plenty of times (some of the production design elements even seem to echo the look of the original Predator). However, Blue maintains a brisk energy level and the characters have surprisingly engaging backstories (like the two brothers getting to know each other after the death of their shared bigamous father). That otherworldly totem is also pretty cool looking. Jon Briddell chews the scenery like a champ as Jacobs, the half-villain. Rae Olivier’s Zoe is rather pedestrian, but at least she is a relatively proactive and assertive figure (she is not waiting around for a man to save her, that’s for sure). Eric Goins also keeps the potentially shticky Dan, a schlubby tech firm divorcé hoping to find his inner Grizzly Adams, relatively grounded and credible. In all honesty, how much you enjoy Beacon will depend on the level of your expectations. 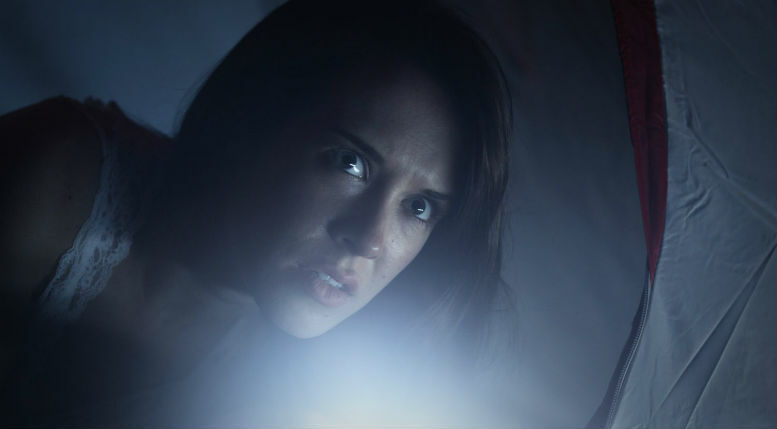 It’s basically the sort of movie that requires genre fans will to turn off their brains and enjoy the familiar beats. However, if you are looking for a film set on the Appalachian Trail, it beats the stuffing out of A Walk in the Woods. 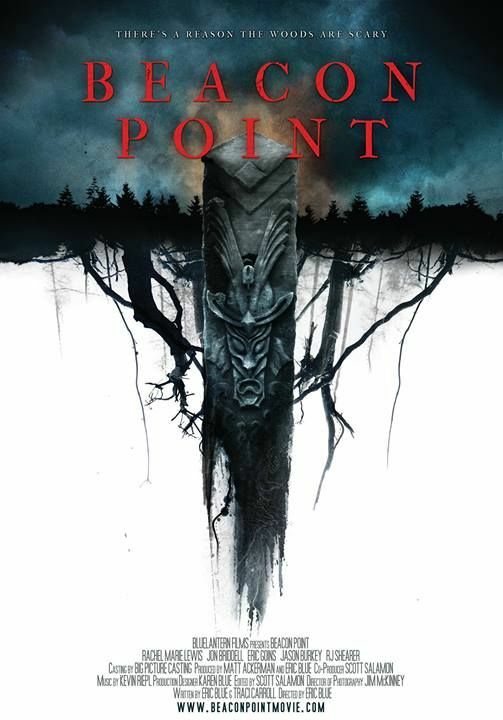 Recommended for midnight movie patrons out for some woodland mayhem, Beacon Point promises some form of distribution following its world premiere at this year’s Dances with Films.